There are a lot of controls in Tabletop Simulator and this article will mostly go over the lesser known controls that you may not be aware of. Remember to open up the Help Menu to see the list of controls. You can read about the basic controls and movement here. 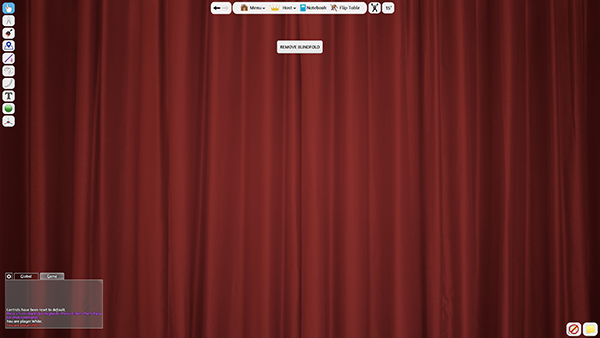 +/-: To scale the size of an object up or down, hover over it and press + or – on your keyboard. B: To hide your view of the table, press B to bring up the blindfold. G: Grouping is used to group objects together. You can use this for anything that stacks, like cards, poker chips, checkers, etc. M: You can magnify areas on the table without using ALT Zoom. Just hold ‘M’ while moving around the table. You can use this to view close ups of boards, cards, everything! You can also use the mouse scroll wheel to zoom in and out while magnifying. N: You can nudge objects by holding N and sliding objects around. P: This toggles your camera mode from 3rd person (default), 1st person and Top down. ALT + SHIFT: While holding ALT to zoom, press SHIFT and you will see the backside of the card. This is called Peek. This is good for seeing the bottom of a deck, the back of a card while its hidden, etc. Others can see you are peeking, so there is no cheating involved. Number Keys: These can used for a variety of purposes depending on what you’re using them for. You can take the animated figurines in our RPG Kit and hover over one of the figurines and press 1, 2 or 3 to have them do a specific action. Additionally, you can hover over dice and press any number key to have the dice switch to that number. You can also hover over a deck of cards and press a number, for example 3, to have 3 cards dealt directly to your hand. If you’re the host or GM, it will deal that number to all players. ALT: Besides being used for ALT Zoom, ALT is also a modifier. ALT + Rotate: You can hold ALT and scroll with your MMB (or Q/E) to rotate objects in a different axis than the norm. 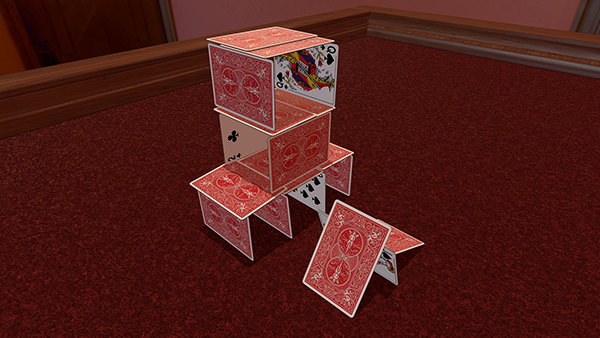 You can do this to make a house of cards, domino toppling setup and many other things! ALT + Flip: Flips object on the other axis. ALT + RMB: Drops the last grabbed object or drops the last card of a deck or objects from bags. ALT + Shift + Q/E: Just another way to scale objects other than +/-.